In art class, the project was to make a hat! Mati received many compliments. 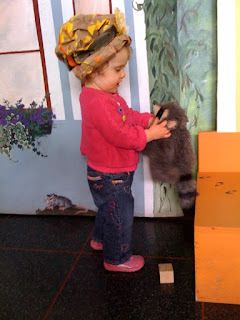 Here she shows off her new hat to a raccoon.